TORRANCE, Calif. – March 20, 2018 -- TRENDnet® (www.TRENDnet.com), a global leader in reliable SMB and consumer networking and surveillance solutions, has announced it will introduce a Mini USB-C HD Docking Cube, model TUC-DS1. The compact USB-C docking station supports high-resolution HD video, and extends or mirrors your notebook’s display. 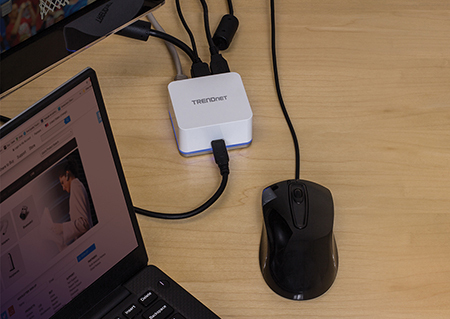 TRENDnet’s Mini USB-C HD Docking Cube allows you to connect multiple USB devices, and network your laptop all from a single cable. Easily manage multiple workstation devices such as USB storage, keyboard, mouse, printer, scanner, and HD monitor. Free up desk space with this compact USB-C docking station to make more room for what’s really important to you. Conveniently connect all your workstation devices to the Mini USB-C HD Docking Cube, and then connect your laptop or notebook directly to the docking station. The TUC-DS1 also includes a power delivery port to charge a USB-C notebook from the docking station. 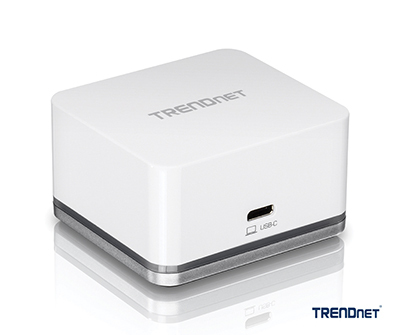 TRENDnet’s Mini USB-C HD Docking Cube, model TUC-DS1, will be available next week online on the TRENDnet Store, and worldwide via our authorized distribution and retail partners.